We are an Australian couple who have been cruising on our Hylas 49 since 2010. We are currently in New Zealand getting ready to sail to Alaska via French Polynesia and Hawaii. When it occurred to me that the distant lights might be storms, I started the Satphone and brought down a satellite image for this region. And while I was at it I also brought down updated weather graphics. It made me think how different this experience is to our Pacific crossing in 2013. While it was possible to get satellite images and basic weather data and maps, we relied upon HF radio and reasonable propogation for access. We just diidnt have it at hand as we do now. The access is great and when it comes down to it being able to monitor the weather more closely does make me feel safer. But, I also feel a loss of intrepidation which I regret (of course we are not compelled to use it). One afternoon just before we left Nendo, Moses was sitting in the cockpit having a cup of tea with us. He had been giving us a hand with cleaning the hull. We talked about the water clarity and the streams of fresh water we swam through that came from underwater springs near the blue waterhole just inshore from us. I mentioned that it looked like nice walking along the track beside the bay. He agreed but said you must always go with someone because of the vele men (pronounced "well men"). He explained that a person walking on their own may be attacked by a man who renders them unconscious and poisons them with leaves. The person will wake and be unaware of what has happened but a few days later he/she will fall ill and die. Later that afternoon I was sitting near Hilda as she prepared hot stones to make cassava pudding and asked had she heard of the vele men. Yes, she said, they are very bad and they can be anyone. No-one knows who they are. You might be sitting across the table from a vele man and never know. They will attack a lone person and put leaves in their body cavities but the person does not know. Only if someone notices a mark on the body will they know they have been attacked by a vele man. Titus also acknowledged the existence of vele men but said they only attack their enemies. And, yes, they live among everyone as normal people. I was intrigued by these stories and did a little research. 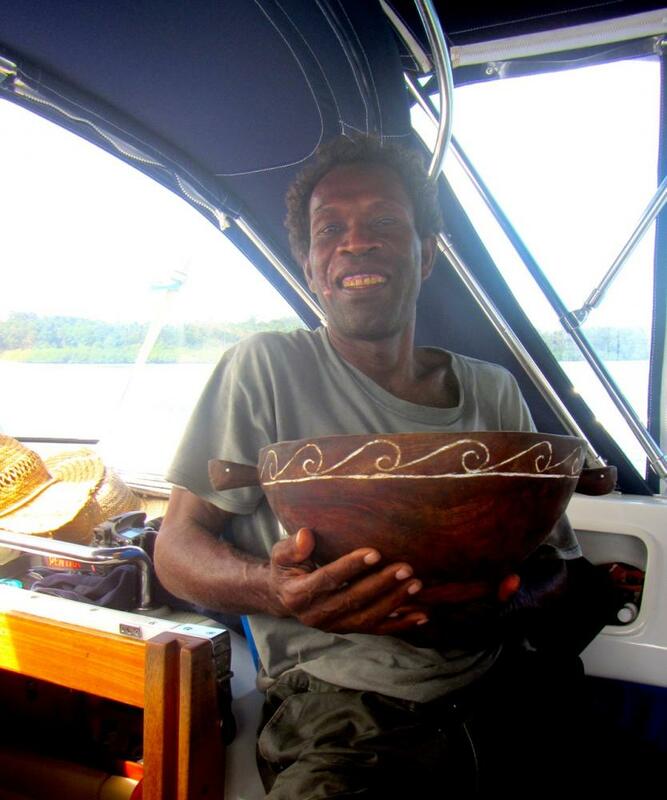 In the Solomons there are two main types of black magic, vele which is practised by the vele man and mostly associated with Guadalcanal, and Arua, which is practised mainly in Malaita. Arua is a practice where the food or clothing of a person is taken and fed to a frog, snake or rat (see Philip Kanairara and Derek Futaiasi). The vele man makes use of a small bag woven from fibre and that contains objects like pieces of bone, vegetable matter, something sharp, such as a tooth, or a sharp piece of shell money (local versions of the magic vary). The bag is called a vasa or vele bag. The vele man's method "is to hide by the side of a road and, as the victim approaches, to make a sharp noise, thus attracting attention. The man turns and sees the vasa suspended from a finger. He collapses, usually in an unconscious condition.' 'Later he would get up, return home, sicken and die within a few days' (Wright 1940). Another more graphic version of the vele man's method, and closer to Hilda's description, is given in a study of sorcery in Malekula and Ambrym in Vanuatu. In this instance the vele man is said to use body-draining, "When body-draining, the sorcerer attracts his victim, kills them in one way or another (usually through poisoning or strangulation), empties the body and fills it up with plants. He then sews it back together and sends the victim home to die, alive but with no memory of what has happened" (Lurent Dousett). I knew that magic had been part of the past in the Solomons and in Vanuatu but thought that with the introduction of Christianity it was past its height and more about being a bit superstitious and having fun. I was wrong. 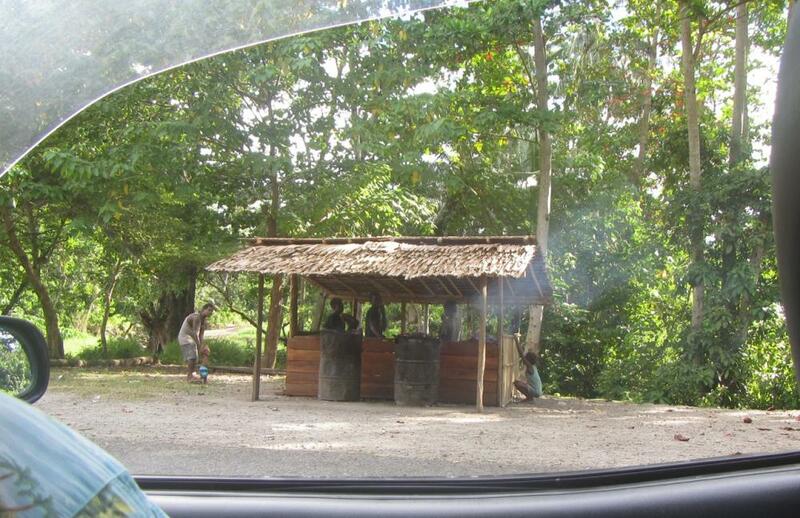 There are many examples of sorcery being practised in The Solomons and it is a genuine concern for Solomon Islanders. Jim and Margaret Tedder reported in the early 60s that there was so much concern over the open carrying of vele baskets in parts of central Guadalcanal that the leader of the Nativisitc movement was called to come and collect them and render them harmless by wrapping pig entrails around the outside and throwing them in the river. Shortly afterward the Penal Code was amended to make it an offence to keep items of black magic. 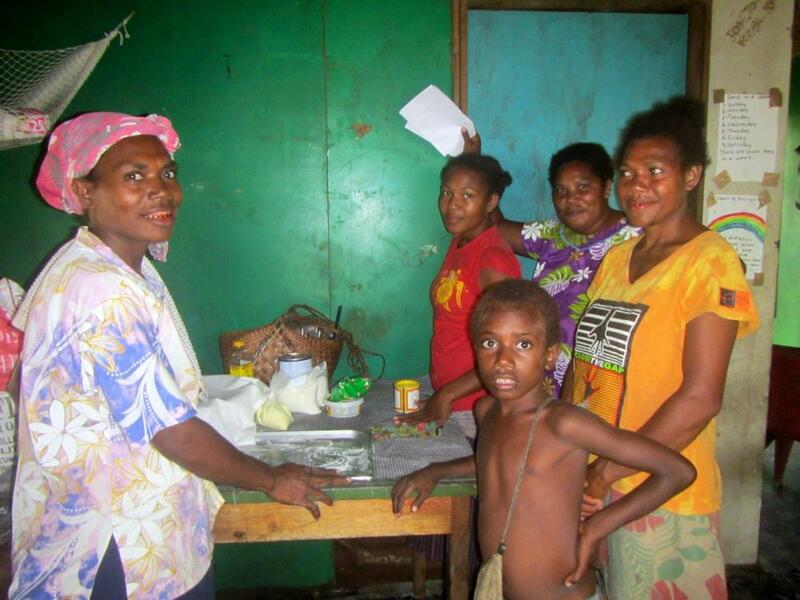 In 2009/2010 The Solomon Islands Law Reform Commission started a review of the Penal Code and found that many people still considered sorcery to be a serious concern in society and needed to be addressed by the government. 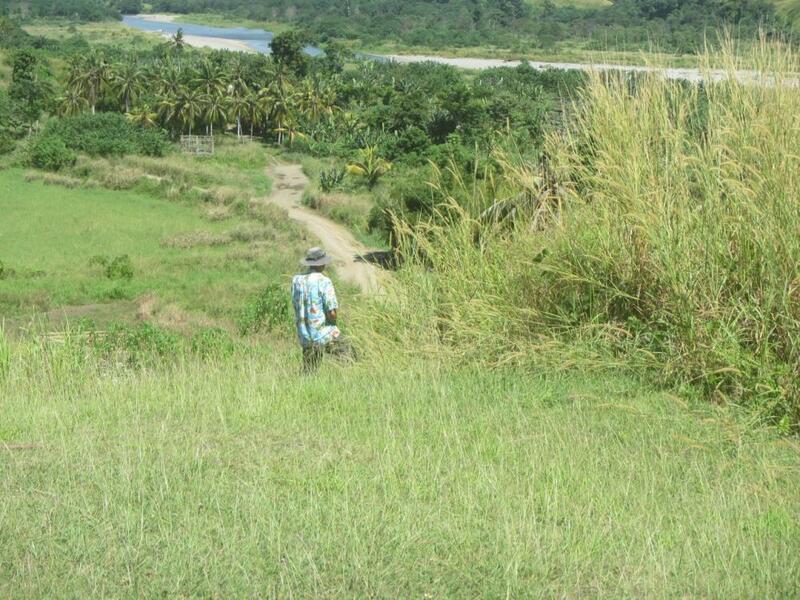 And, as recently as 2012 a provincial police commander in Isabel province reported an increase in unlawful activities related to sorcery (Kakai 2012). Suffice to say, after this I was not the least interested in hiking alone in Nendo. The prospect of being knocked off by a witch doctor as well as dealing with the minefield of Taboo areas convinced me that some local company would be very welcome. 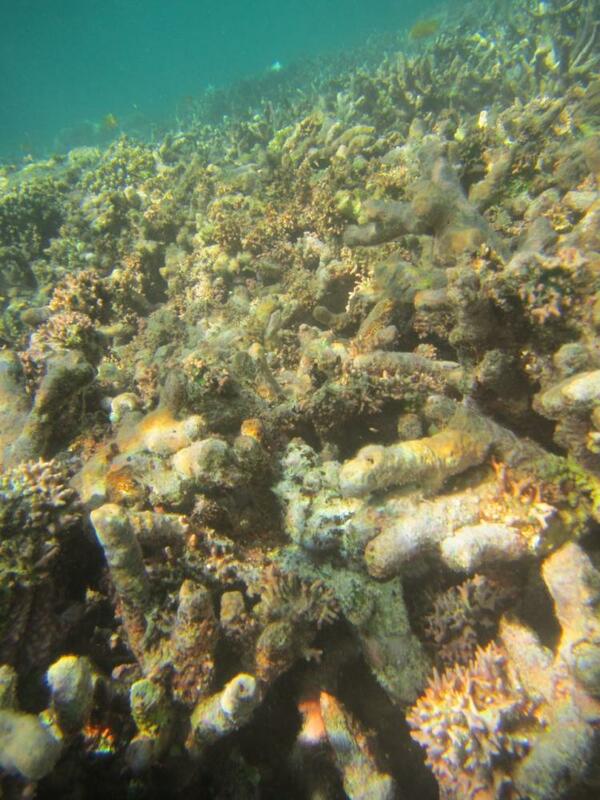 We have been here for about a week and will be here for at least a few more days because of southerly winds. We are really enjoying spending time with the people here but it is very busy and we drop into bed each night. Most days there is someone onboard by 8am, either to charge their phone and have a chat, ask for some printing of curriculum, or repairs to some item or other. This morning one of the teachers, Moses, canoed over and tapped on the hull at 5.50am to drop off a couple of lobsters he had caught for us as a thank you. Yesterday I spent the day with some of the women showing them how to bake a banana cake and the bread I bake on board. We prepared the ingredients at Maggie's house which is a very basic cinder block and we worked out the equivalents of my measuring cups for the cups and spoons they have on hand. It was chaotic, with children from babies up to teenagers wandering in and out and making demands, neighbours popping in to see what was happening and have a chat, and toddler fingers reaching for everything in sight (including 4 eggs which cost $6 SBD each!). We baked the cakes and bread in a wood oven. The cakes worked well but it was almost 6pm by the time we had finished and I haven't heard how the bread turned out. Tomorrow its my turn with demonstrations of banana chip making. I have no doubt that they know how to bake everything and anything but it is a fun way to spend time together. Titus is on our bow if you have a magnifying glass! Tuesday afternoon and the wind is up. Paul is in Lata with Titus and all our credit and debit cards trying to get some money from the shop-run "ATMs" (which is a handpiece without the surrounding casement and supervised by the staff). We are down to our last 400SBD and the southerly winds look like being around for at least another week so we won't be sailing to Vanuatu just yet. I am doing some research for Titus on the mining companies planning exploration and mining of bauxite on the south/west of Nendo. The community is split on whether to support it or protest. Basically, they are looking to 'strip mine and ship' which means very little in the way of jobs for locals and given the company's history, unlikely for much restoration following the mining since they sell for royalties rather than run mines themselves. Its all about money in the hand now (tiny amounts compared to the profits the companies expect) rather than using the land for longterm sustainability which is harder to grasp. Paul had no luck at the ATMs or the banks but Father Ini who was Governor General to the Solomons 1999-2004 thought he could help us out. The next morning was pouring rain and wind but we still needed cash and diesel and Titus needed a hand at Oceanswatch to collect speakers etc for an awareness meeting at the mission. So in a break of weather we hopped into the longboat and headed across to Lata. It bucketed down but Titus saw fish jumping. Soon we all saw them. Tuna jumping all over the place. Out went the trawling line and for the next half an hour we went round and round the school while the rain poured and Titus flipped fish after fish into the boat. In the end he had 7, a nice haul for the market. 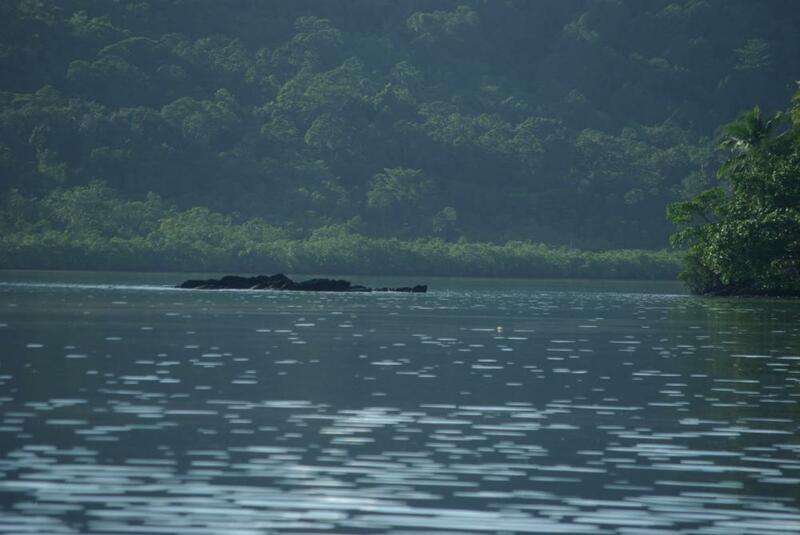 Marau Sound, Guadalcanal Island. Another beautiful area. And, home to the two Joe's and two Gus's. The Joe's trade citrus, beans and stories for flour, soap, and clothes. The two Gus's run the Tavanipupu resort. 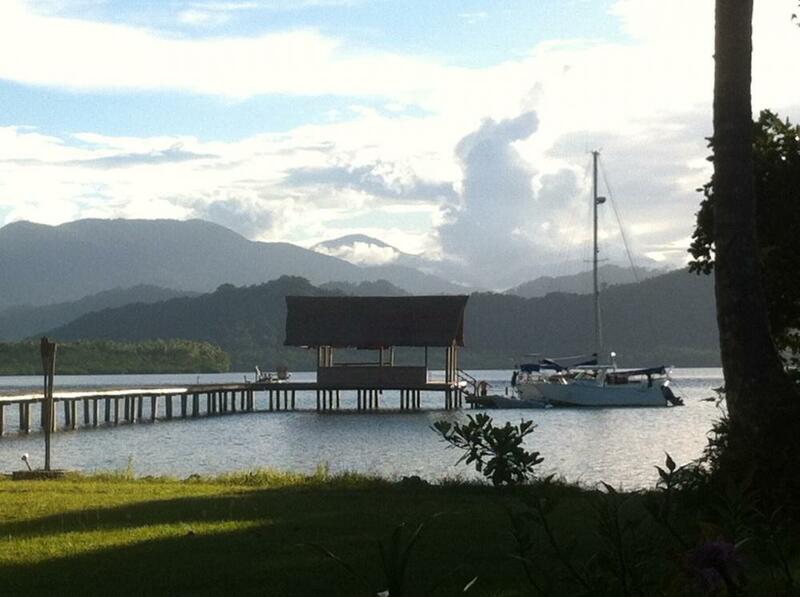 We anchored at the back of the resort near one of the Tabu sites. This is the burial ground for significant men and chiefs. Women are not allowed to go near it. Just as men are not to go near the women's ancient burial ground. We snorkelled off the resort and and as well as seeing that amazing scarlet-orange anemone with two Spinecheek anemone fish, we saw a devil scorpion fish that looked exactly like the dead coral around it. See if you spot it. Yesterday morning we arrived in Honiara after a long overnight passage dodging electrical storms and motor sailing into 15 knots of wind. Fortunately the seas were basically flat and we faired far better than 3 boats who had left the day before and endured 1.5knots of headway in 20+ knots of headwind; one of them took 33 hours to do the 100 odd nautical miles. Not only are we in a city of sorts but there are also 4 other yachts here and so it feels crowded. There is the sound of traffic, building construction, and music from the resorts along the shore. We anchored to the south of the starboard marker but would anchor on the west side of the reef if we were to visit Honiara again as Paul had to clear the chain from one or two bombies. There is a yacht club nearby with a relatively secure dock for dinghies that is open 7 days and can take rubbish and has showers. 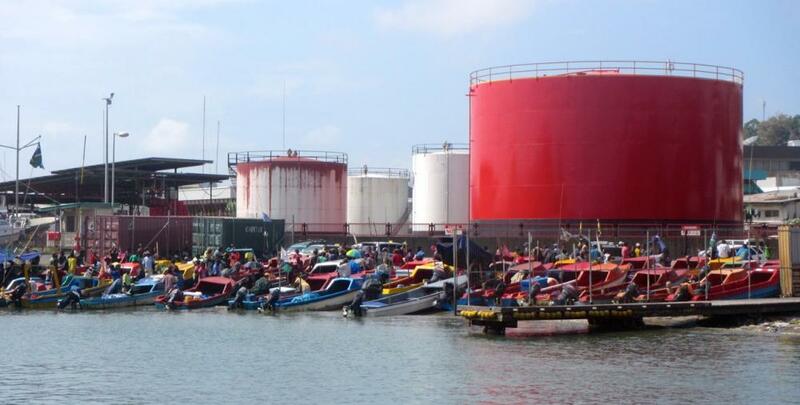 Next door is the long boat station for commuters to Isabel, Malita and the Fluorides. 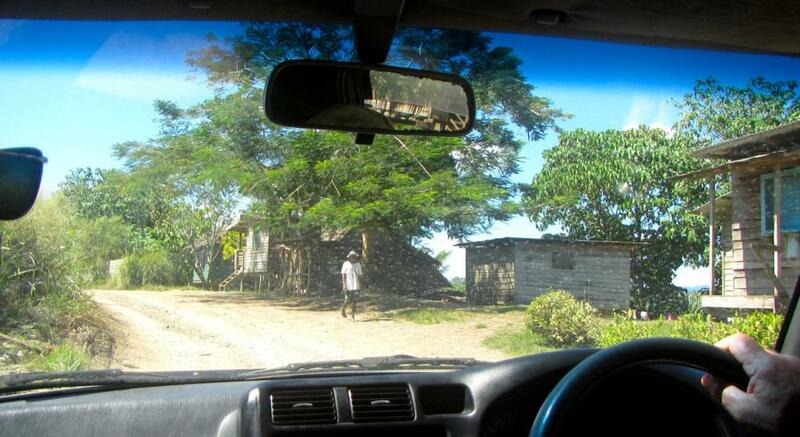 Honiara often gets a bad rap but we thought it was fine and the people we met were lovely. There are cafes that cater to the expats and so are a little pricey but very comfortable with good food. At Panatina Mall is The Deli which has a good range of Aus and NZ products and Nambawan meats have a good range of meat and frozen veggies that unlike The Marshalls have not been sitting around since the dark ages. We loaded up on groceries and fresh produce from the excellent market, which was one of the neatest we have seen, and bought a couple of paintings and carvings from the "art gallery". 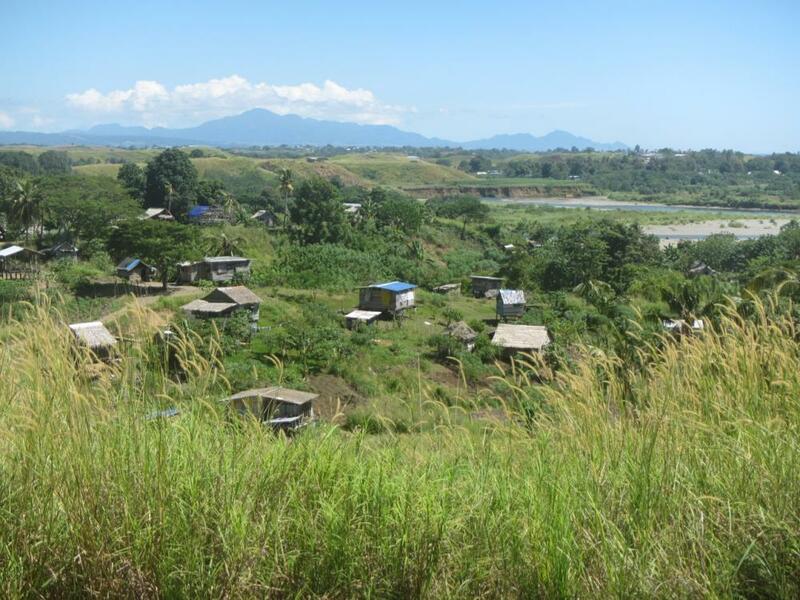 On one day we hired a car for the day with Brenda and Rod to visit some of the battle sites and basically potter around Guadalcanal (the north coast at least; the south coast is almost inaccessible). Guadalcanal was the site of one of the largest sea battles in history, between the Japanese and American and allied forces. Rod had sussed out the sites and we headed off to see them. The focus of much of the conflict was the now called Henderson airfield which had been built by the Japanese to reinforce their ground operations. The allied forces took Henderson in 1942 and the Japanese made a number of attempts to take it back. The airfield remained in allied hands but the battles resulted in the loss of around 67 ships, over a thousand aircraft, and 38,000 deaths across Japanese and allied forces. Today there is not a lot to see and the practice of charging unrealistic kastom fees (eg SBD100 to look at a view because it is from their land) is a bit discouraging. We wouldn't mind paying a fee - perhaps a slightly more reasonable one - if there was something really worth seeing or if the relics had been kept well but often they are decayed; no-one has bothered to care for. Its a shame for them and for us. Tomorrow we haul anchor at 4.30am and start to make our way towards Santa Cruz and the last leg of our Solomon's stay. 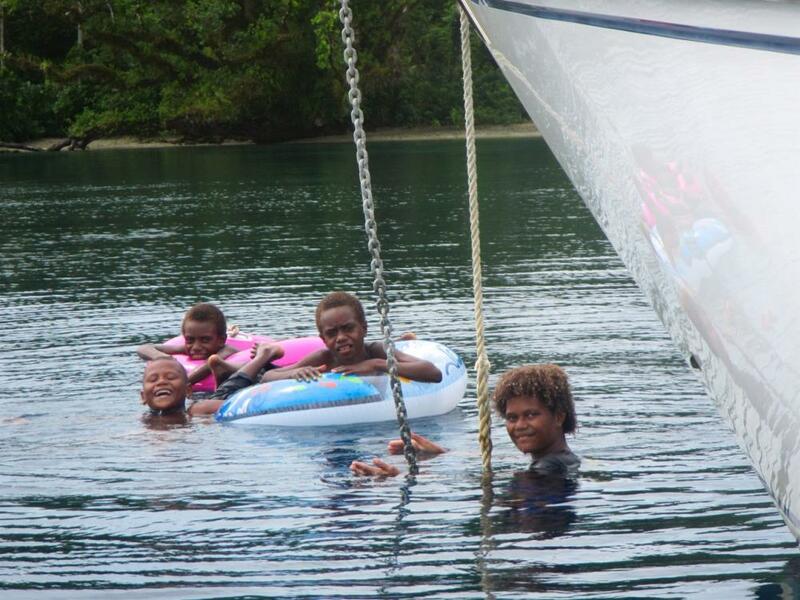 We will be sad to say goodbye to The Solomon Islands but we are looking forward to cooler weather and water. Our first stop is Marau Sound.